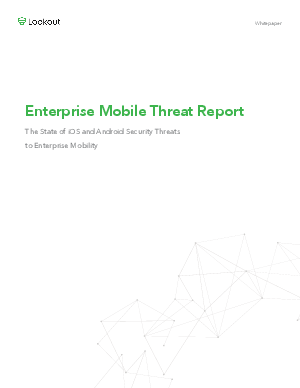 This report examines enterprise security threats for iOS and Android. While Android has higher consumer market share, iOS commands more market share in the enterprise, accounting for 72% of enterprise mobile activations in Q1 2015 compared to Android’s 26% activation share. The perception that iOS is more secure has helped drive its enterprise adoption, but this perception comes largely from security trends observed in the consumer space. Android, with a more open mobile platform and 81% global market share, predictably invites more broad-based attacks than iOS. When it comes to iOS and Android in the enterprise, however, both need threat protection because at a fundamental level both platforms are subject to similar vulnerabilities and attack methods. iOS attacks may be relatively uncommon today, but they have happened and can occur. Moreover, enterprises increasingly rely on iOS app-distribution methods that forgo Apple’s app-review and they face the risk that attackers will continue to abuse this distribution process to deliver malware directly to devices.